Psyonix has outlined plans for its big May Rocket League update, which is set to launch on May 29. The developer revealed that the update will be known as Salty Shores in a new trailer. It will include a brand new beach-themed Arena named Salty Shores (who would have guessed) that looks to be based on a Miami Vice episode, which will be free for Rocket League players on all platforms. Alongside the new map, a brand new in-game event will launch on June 11, bringing with it a bunch of new Summer-themed items in Loot Boxes that players can purchase from the in-game store. These items will be exclusive to the event. 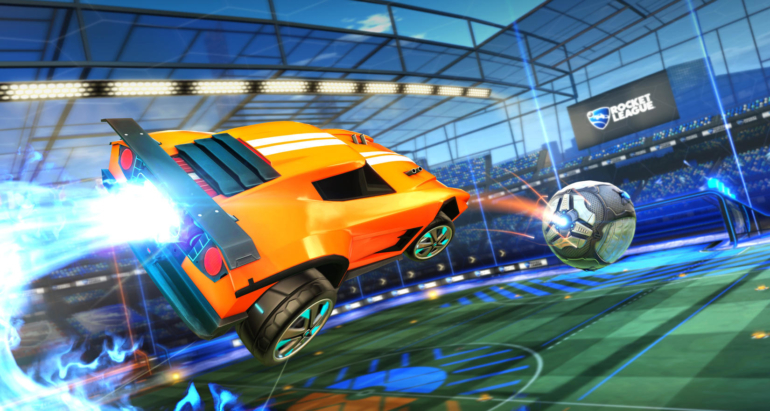 May’s content update will also kick off Rocket League’s eighth competitive season and will give players their season seven rewards, which includes new banners and goal animations. A brand new playlist, a new Battle-Car called the Twinzer, and more unannounced goodies has also been confirmed for the new event. More details will be released closer to the end of May. Following the summer event, Psyonix will be releasing brand new licensed DLC to the game in the future. This DLC is based on an established franchise, although the theme has not yet been revealed. The RLCS Season 5 World Championship will also be going on during June. All of these updates were in Psyonix’s Summer Roadmap.